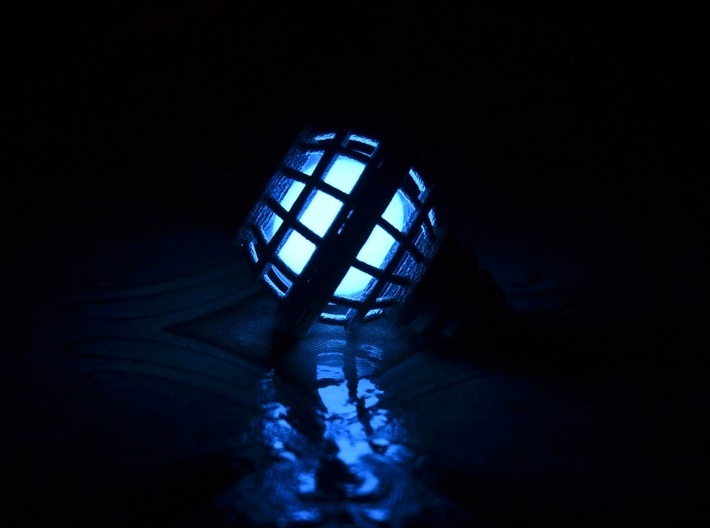 In this picture the phosphorus coating on the tritium vial is being energised by UV light. 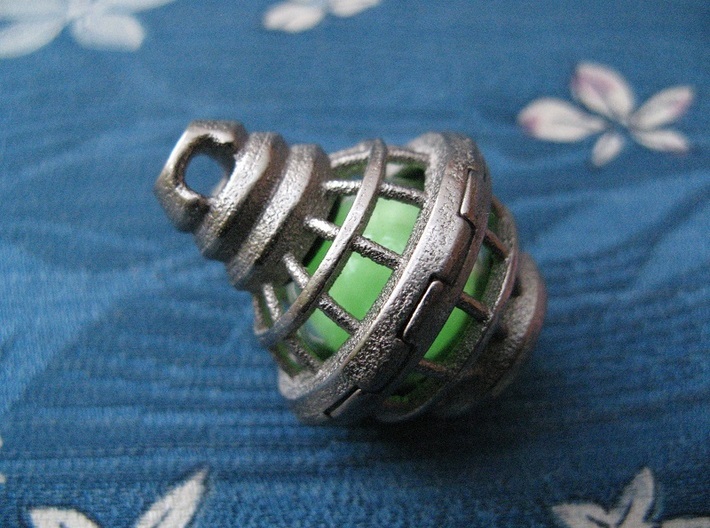 I present my large tritium sphere cage, for use with an 18mm tritium sphere (tritium sphere not included). This model has been scaled for printing in stainless steel. 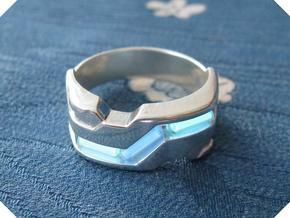 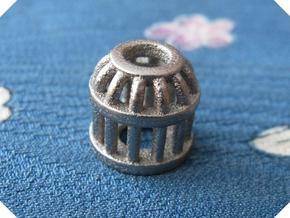 The attachment hole is 3.5mm tall and 4mm wide. 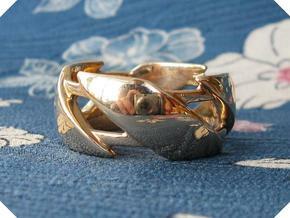 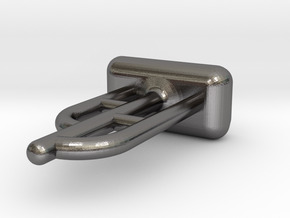 It is large enough for a length of paracord, small to medium gate clip or a large diameter split ring. 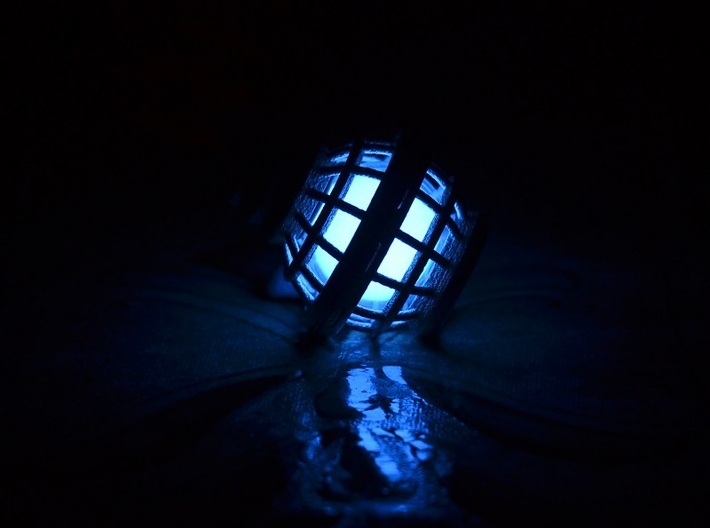 The sphere is held in place using 3 rubber o-rings, all of different sizes. 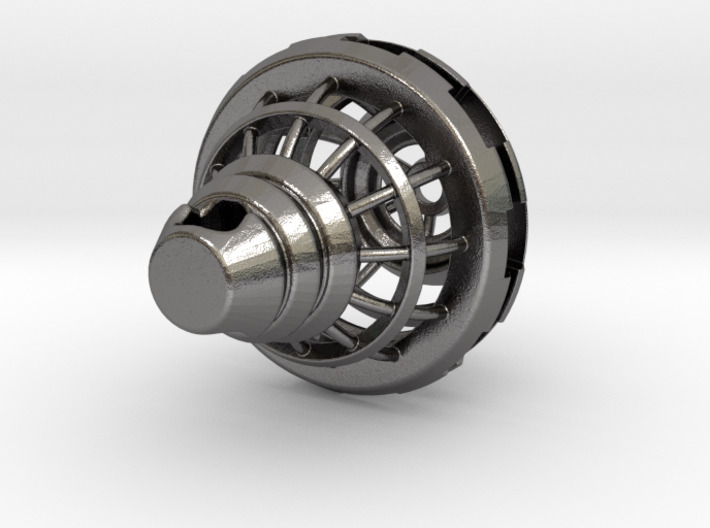 The base o-ring should have a 9mm inside diameter and a 1.5mm section diameter, the middle 0-ring should have a 17mm ID and a 1.5mm diameter, while the top o-ring should have a 6mm ID and either a 1.5mm or a 2mm ID, depending on the exact dimensions of the sphere (o-rings not included). 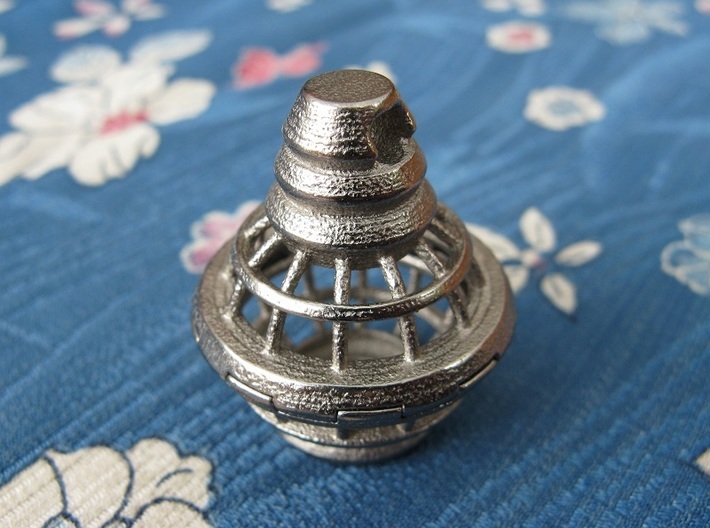 The interlocking pattern, on each half of teh cage may require sime slight filing, to allow them the properly interlock, especially if the cage has the nickel plated finish. 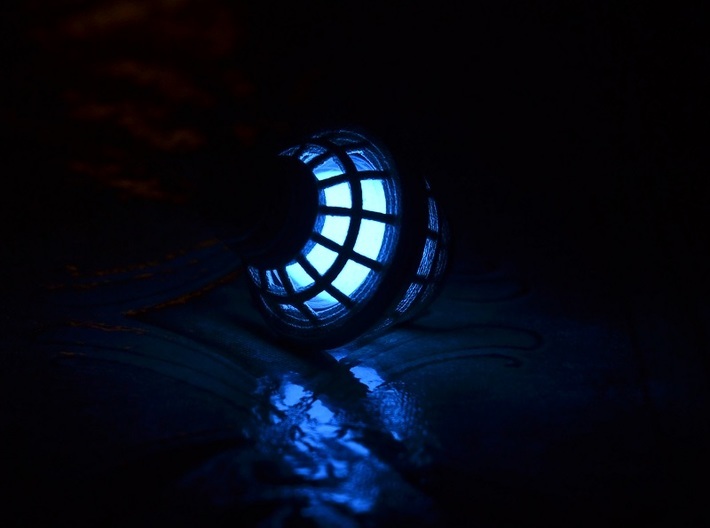 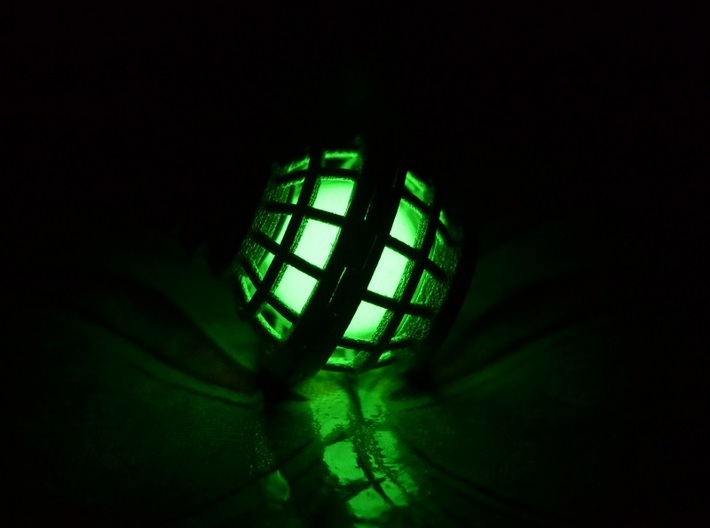 Unfortunately the tritium spheres are now pretty much unavailable, so this cage will be of little use, unless you happen to already own an 18mm tritium sphere. 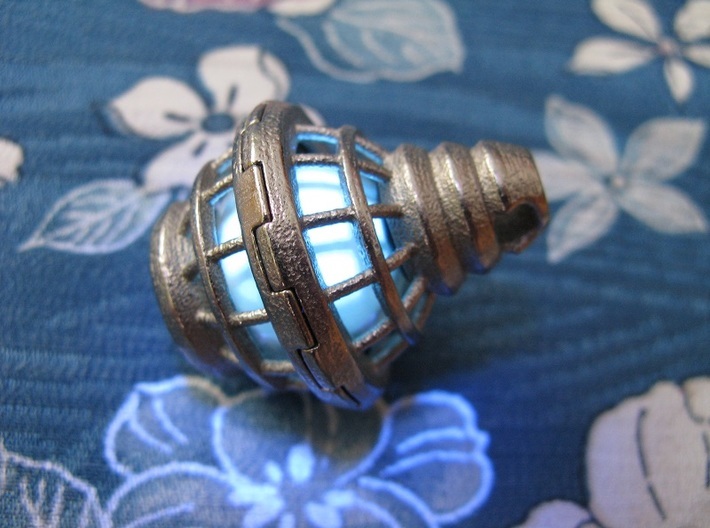 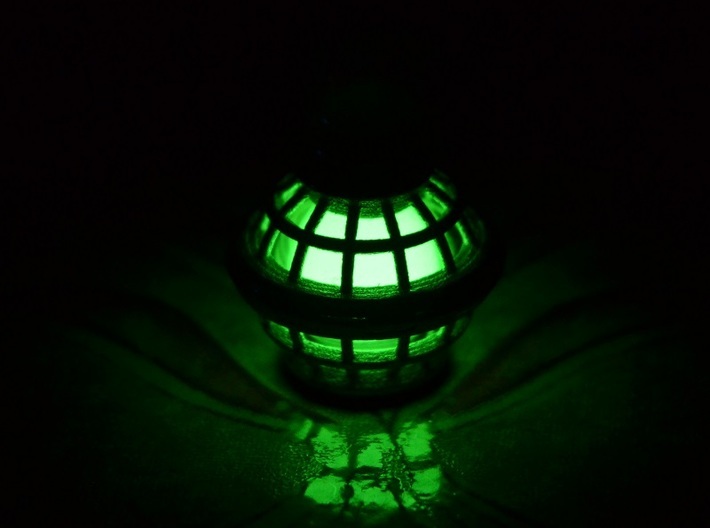 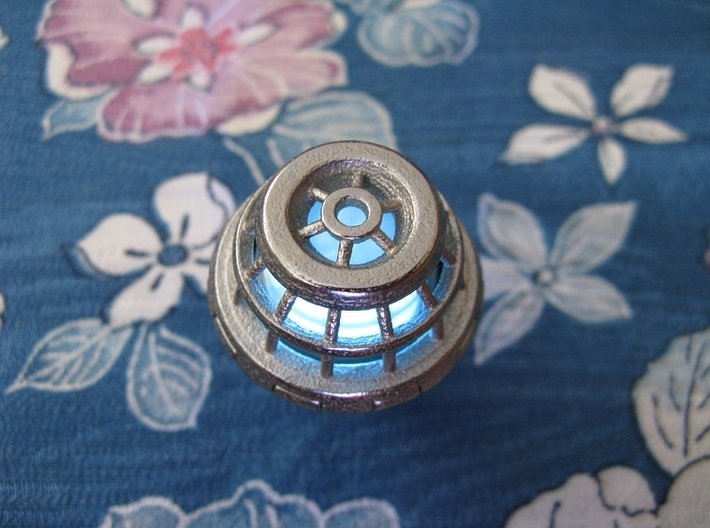 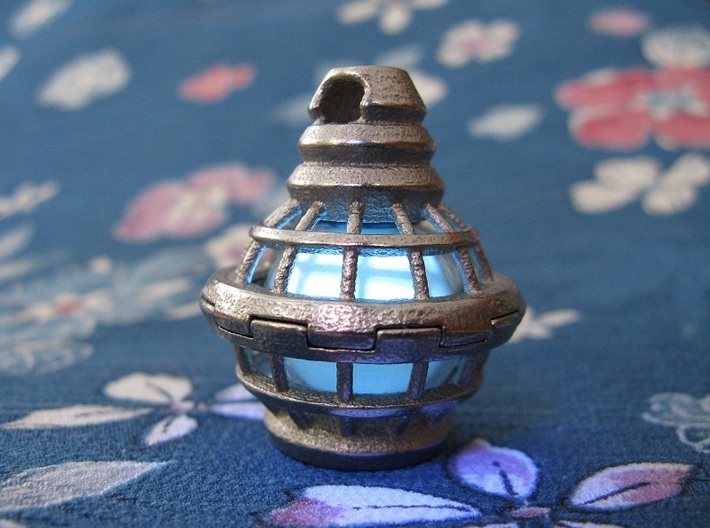 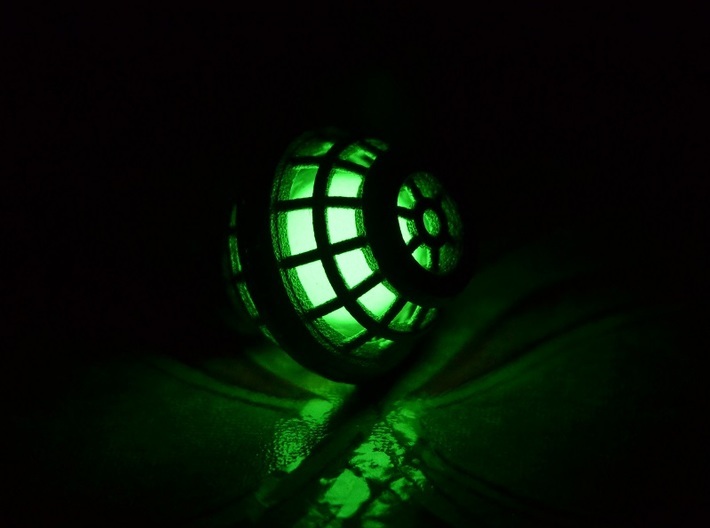 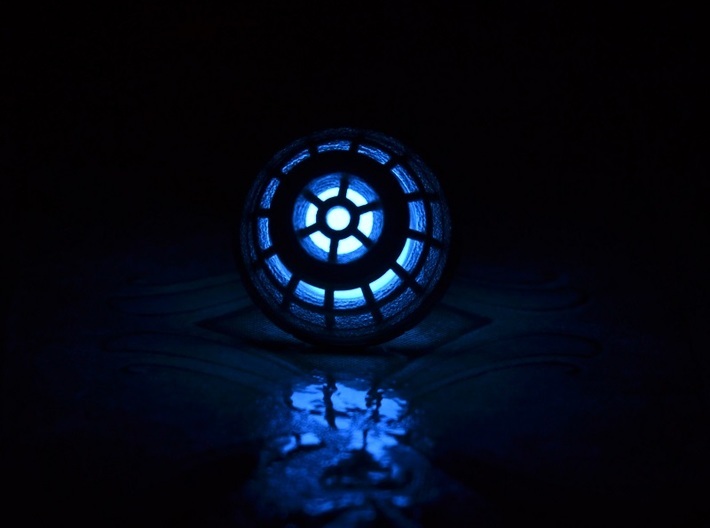 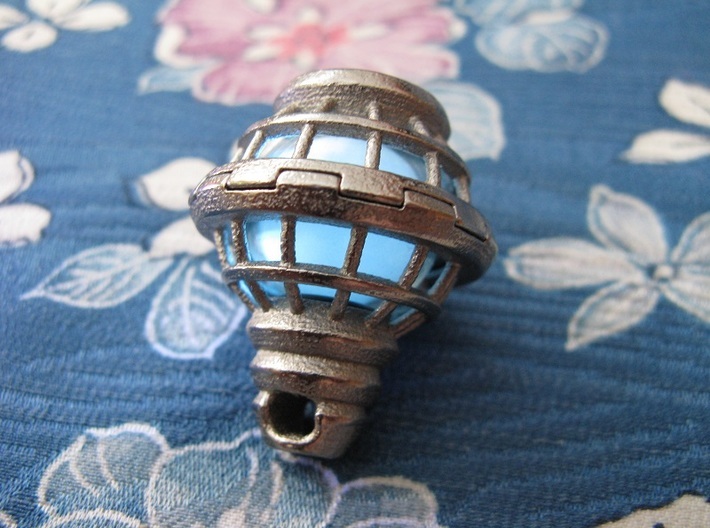 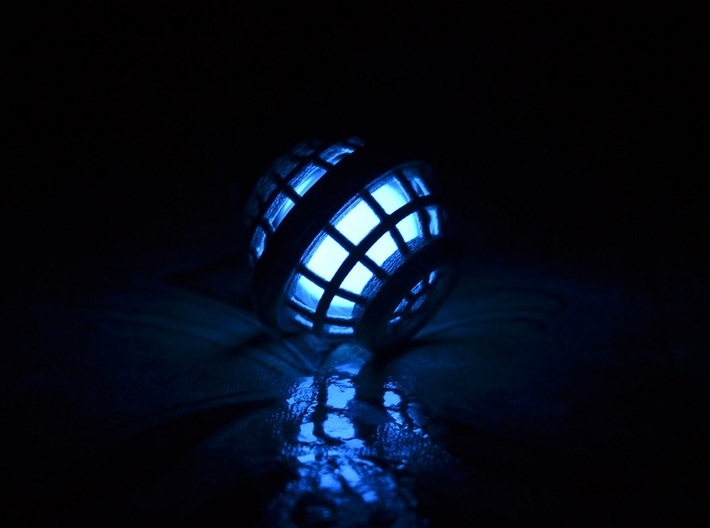 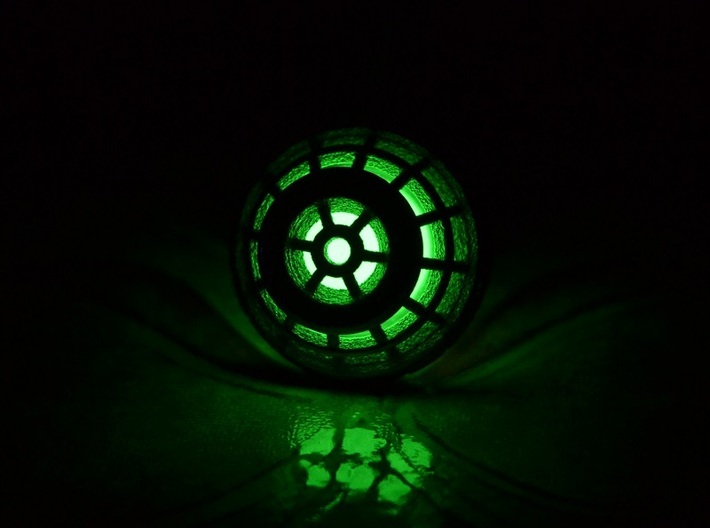 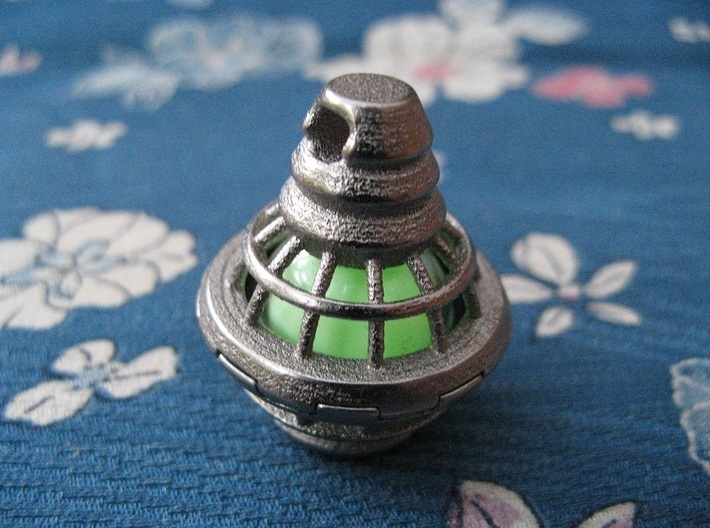 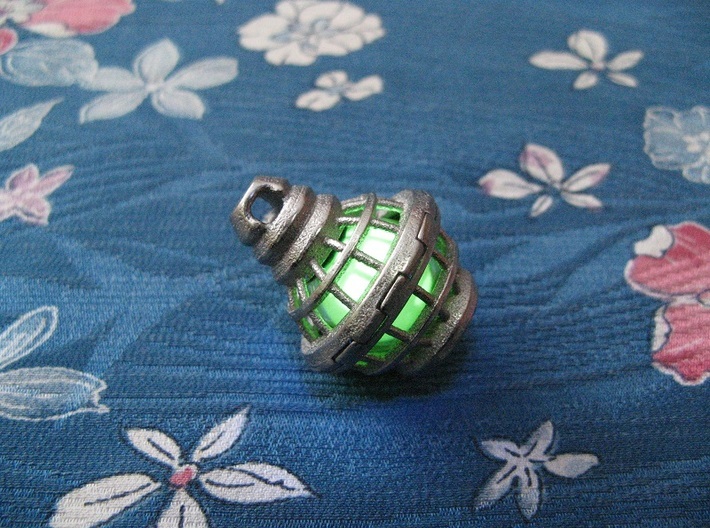 I have a few tritium lanterns, available from my Etsy shop (tritium vials not included, due to a recent policy change on teh site). 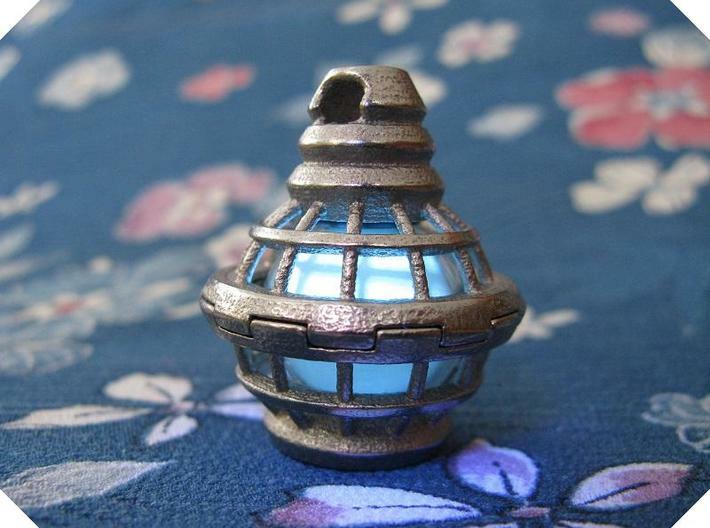 Please contact me if you would like an assembled lantern.